1. 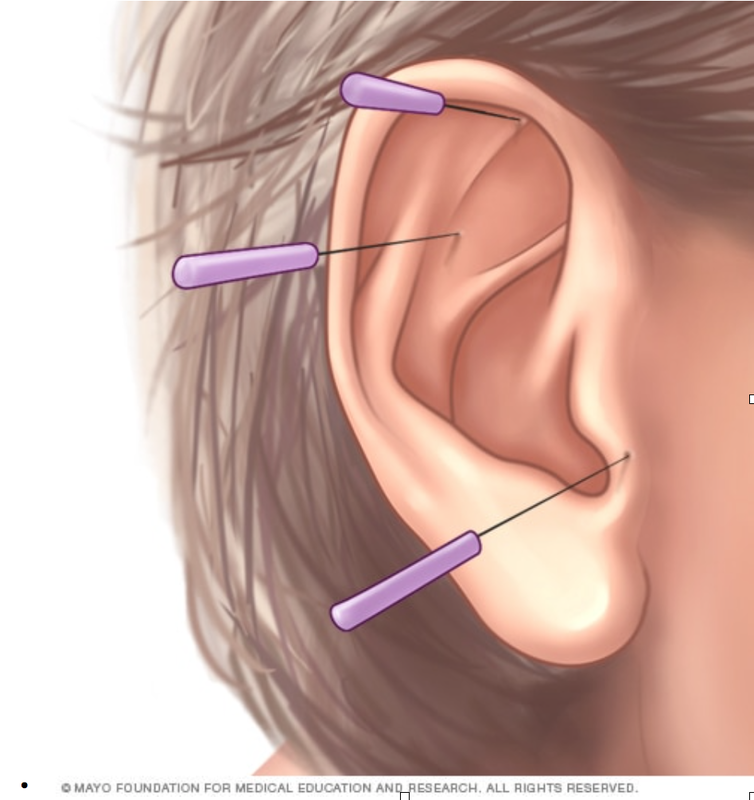 Originally acupuncture needles were not made of stainless steel but of stone, bamboo and bone. Today’s needles are extremely fine in diameter (about the thickness of two human hairs) and are sterile and disposable. 2. Acupuncturists feel your pulse and look at your tongue to gain information about your state of health and plan a course of treatment. 3. Acupuncture is highly individualized; for example, if 50 people with the common cold received acupuncture all 50 people could have different acupuncture points chosen as part of their treatment. 4. The World Health Organization released a report, Acupuncture:Review of Reports on Controlled Clinical Trials, which endorses the use of acupuncture for over 200 symptoms and diseases (low back pain, headache, nausea/vomiting, allergic rhinitis, depression/anxiety, side effects of chemotherapy and induction of labor to name a few) and the US National Institutes of Health issued a consensus statement proposing acupuncture as a therapeutic intervention for complementary medicine. 5. Acupuncture gained attention in the U.S. after President Nixon’s visit to China in 1972 when an accompanying reporter experienced significant post-operative pain relief after undergoing an emergency appendectomy and wrote about the benefits of acupuncture upon his return to the U.S.
6. Licensed acupuncturists attend a rigorous 3-4 year graduate program and complete over 2,000+ clinical internship hours and maintain their licensure with continuing education. Part of our education includes standard medical history gathering, safety, ethics and recognition of when to refer patients to other health care professionals. 7. As of 2004 nearly 50% of Americans who were enrolled in employer health insurance plans were covered for acupuncture treatment. (Insurance Coverage for Acupuncture on the Rise, Michael Devitt, Acupuncture Today, January 2005, Vol 6). You may be covered for acupuncture treatments too! 8. Acupuncture is just one part of a broad system of Traditional Chinese Medicine that also includes Chinese Herbal Medicine, Tui Na (massage), Tai Chi/Qi Gong (movement) and Chinese Dietary Therapy. 9. There are many styles and substyles within the practice of acupuncture. This may seem odd but Chinese Medicine has evolved over thousands of years and over vast geographical area which has subjected acupuncture to many different cultural, political and scientific influences. In the United States the most common styles of practice are Five Element Traditional Acupuncture, TCM or Traditional Chinese Medicine Acupuncture, Japanese Acupuncture and Korean Consitutional Acupuncture which are all based in traditional principles of Chinese Medicine.